NEW YORK -- We're getting a first official look inside the Conner family's house! The "Roseanne" revival released a photo from the set and it will bring up so many memories. 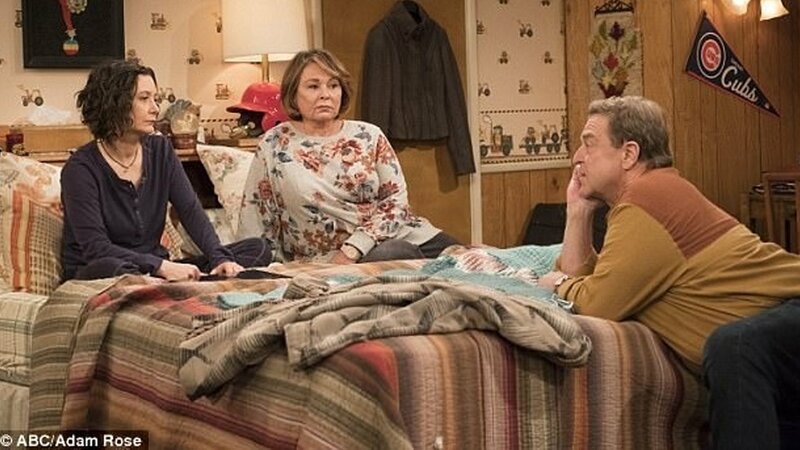 It features Darlene (Sara Gilbert), Roseanne (Roseanne Barr) and Dan (John Goodman) inside Darlene and Becky's bedroom which looks just like it did when we last saw it - 20 years ago! For the revival, the revelations made in the show's original finale will be ignored. As you can plainly see, Dan is alive! Becky (Alicia Goranson), D.J. (Michael Fishman), Jackie (Laurie Metcalf), David (Johnny Galecki), Beverly Harris (Estelle Parsons), and Nancy (Sandra Bernhard) are all returning to the show as well. Sarah Chalke known as "the other Becky" will take on a new role for the revival. We also got a peek inside the Conner's kitchen last month as the cast and crew sang "Happy Birthday" to Roseanne! "Roseanne" is set to premiere on Tuesday, March 27, 2018 with an hour-long episode at 8 p.m. EDT on ABC! The series consists of 9 episodes that will regularly air on Tuesdays from 8-8:30 p.m. EDT. Filming for the revival wrapped Friday in Studio City, California.